It’s been known for decades that telomeres, “caps” at the end of each DNA strand, protect chromosomes – and that telomeres shorten with age, weakening the DNA strands. 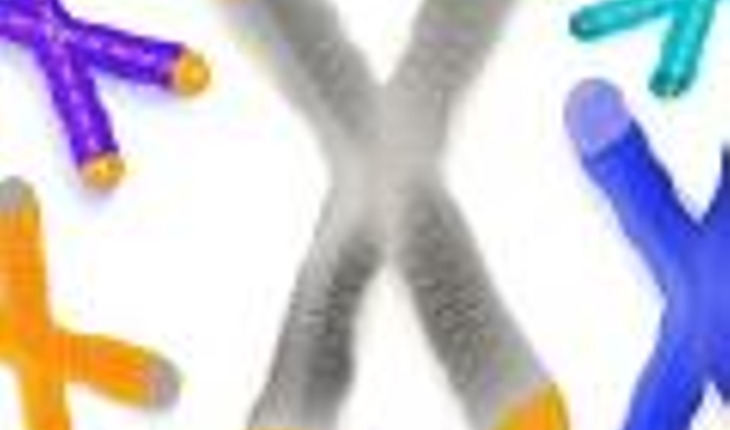 But now researchers say they have discovered the role of an enzyme that’s crucial to telomere length. And that may speed the discovery of other proteins and processes that determine telomere length. The finding, from researchers at Johns Hopkins, were published in the journal Cell Reports. “We’ve known for a long time that telomerase [an enzyme that helps elongate chromosomes] doesn’t tell the whole story of why chromosomes’ telomeres are a given length, but with the tools we had, it was difficult to figure out which proteins were responsible for getting telomerase to do its work,” says Carol Greider, Ph.D., the Daniel Nathans Professor and Director of Molecular Biology and Genetics in the Johns Hopkins Institute for Basic Biomedical Sciences. Greider won the 2009 Nobel Prize in Physiology or Medicine for the discovery of telomerase. Figuring out exactly what’s needed to lengthen telomeres has broad health implications, Greider notes, because shortened telomeres have been implicated in aging and in diseases as diverse as lung and bone marrow disorders, while overly long telomeres are linked to cancer. Because telomeres naturally shorten each time DNA is copied in preparation for cell division, cells need a well-tuned process to keep adding the right number of building blocks back onto telomeres over an organism’s lifetime. But until now researchers have been saddled with a limiting and time-consuming test for whether a given protein is involved in maintaining telomere length, a test that first requires blocking a suspected protein’s action in lab-grown cells, then getting the cells to grow and divide for about three months so that detectable differences in telomere length can emerge. In addition to being time consuming, the test could not be used at all for proteins whose loss would kill the cells before the three-month mark. To find a better tool, graduate student Stella Suyong Lee, working in Greider’s laboratory, started with a concept used for measuring telomere length in yeast. The idea was to artificially cut mammalian cells’ telomeres, then detect elongation by telomerase — a test that would take less than a day, and could be performed even if the blocked proteins were needed for cells to divide. But making the transition from yeast to mammals involved a host of unforeseen technical difficulties, and the project took nearly five years. Greider credits Lee’s persistence for its eventual success. For their trial run of the new test, dubbed addition of de novo initiated telomeres (ADDIT), Greider’s group examined an enzyme called ATM kinase. “ATM kinase was known to be involved in DNA repair, but there were conflicting reports about whether it had a role in telomere lengthening,” says Greider. Her team blocked the enzyme in lab-grown mouse cells, and used ADDIT to find that it was indeed needed to lengthen telomeres. They verified the result using the old, three-month-long telomere test, and got the same result. The team also found that in normal mouse cells, a drug that blocks an enzyme called PARP1 would activate ATM kinase and spur telomere lengthening. This finding offers a proof of principle for drug-based telomere elongation to treat short-telomere diseases, such as bone marrow failure, Greider says — but she cautions that PARP1 inhibitor drug itself doesn’t have the same telomere-elongating effect in human cells as it does in mouse cells.